The US Marshals announced this Tuesday (10th) that three different bidders won the third auction of Bitcoins seized from Ross Ulbricht in 2013. Ulbricht, known in the ‘dark web’ as Dread Pirate Roberts, was recently convicted for running the illegal online marketplace Silk Road. The authorities auctioned 50,000 BTC on this occasion. According to Marshals Service spokeswoman Lynzey Donahue, the winning bidders won quantities totalling 27,000, 20,000, and 3,000 BTC. 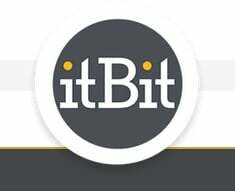 And although the identity of the winners wasn’t immediately revealed, it is now known that one of them is the New York-based Bitcoin exchange itBit, Coindesk reported. The company was able to secure the smallest amount of cryptocurrency (3,000 BTC) sold during the auction. The identity of the two other bidders was still unknown at the time of writing. “We only confirmed winners’ names in the past if they voluntarily came forward,” Donahue said. This third auction, hosted by the US Marshals on March 5th, attracted 14 registered bidders who placed a total of 34 bids for the 50,000 BTC. The number of bidders increased since the last auction, held in December. The second auction drew 11 bidders that placed 27 bids, but the winner ended up being the well-known venture capitalist Tim Draper, who took home 30,000 BTC. Still, neither came close to the first auction with 45 bidders and 63 bids. This one was won by the Bitcoin Investment Trust, which recently announced its plans to become the first publicly traded cryptocurrency fund. Following these three events, the Bitcoin community is expecting a final auction to be held before the end of 2015 as the US Marshals are still holding approximately 44,000 BTC seized from Ulbricht.